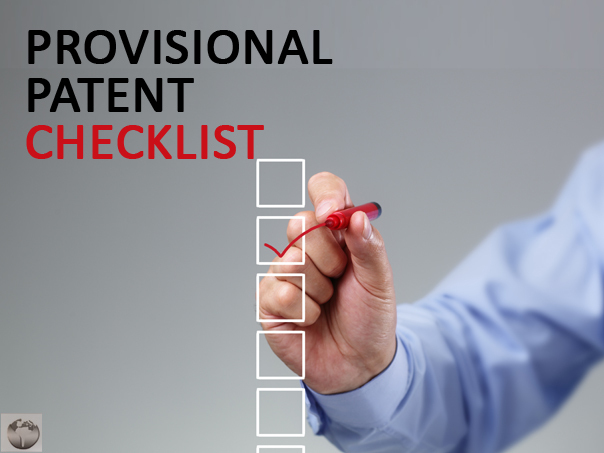 Properly prepared patent drawings, patent descriptions, and inventor information are 3 of the most important items to have ready before filing for your provisional patent. A provisional patent is not really a patent, but it can be thought of as an extension period. It gives inventors the opportunity to reserve a filing date before a formal utility patent application is submitted. items listed above should be. Having these items prepared correctly is of the utmost importance as they will serve as a reference for your formal utility patent application. One of the most common problems with patent applications is the description of the invention. The description should contain as much relevant information for the product as possible. In precise details, you should describe how the invention is made and how to use the invention. Your description can provide support to the formal patent application, should a problem arise. Patent drawings should complement your invention, but they should also show measurements and be easy to interpret. These drawings must accompany your application unless your invention relates to a chemical compound, composition, or a method. It is important to pay attention to detail because these drawings allow people to better understand your invention. Anyone that contributed to your invention can be considered a co-inventor, so it is important to give information for all contributors. This helps to protect you against future lawsuits, as well as give credit to those who deserve it. A machinist that you hired to create your prototype is not considered a co-creator, but the person that added a part to the original design is. Having inventor information, properly prepared patent drawings, and patent descriptions ready before applying for your provisional patent is extremely important. Not having these items ready could result in a negative patent decision, so do your homework and be prepared.